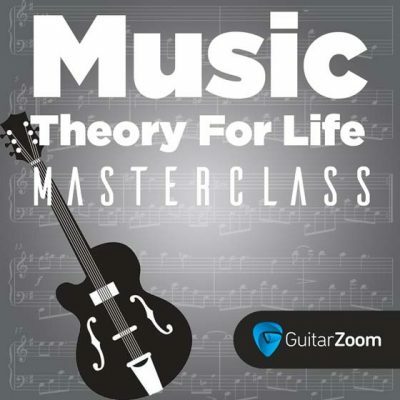 GuitarZoom Masterclasses are taught by Steve Stine and laser-focused on one topic. They give you a proven plan to rapidly improve your guitar playing, at your own pace, so you never get overwhelmed. Plus you’ll enjoy a supportive community and live monthly webinars that will answer your questions. A 12-week masterclass taught by Steve Stine to help you understand music so you can play rhythm and lead guitar with total confidence. You’ll end your confusion about how chords and scales work together. Learn to play songs in minutes by ear. And discover the secrets to creating amazing guitar solos from scratch without hitting any wrong notes. Plus you’ll get live monthly webinars with Steve so you can get answers to your most burning questions. An 8-week masterclass taught by Steve Stine that makes it easy to play impressive guitar solos over any song without any hesitation. You’ll discover how to thread scales together and solo with confidence across the fretboard. So you never get stuck and always know what notes to play. 6 inside tricks that will help you avoid playing boring solos that sound like scales. Plus Steve’s secret chord chasing technique that will make you a sensation at your next jam session. And you’ll get live monthly webinars with Steve so you can get answers to your most burning questions. A 10-week masterclass taught By Steve Stine that reveals the soloing secrets of legendary bluesman like Stevie Ray Vaughan, B.B. King, Eric Clapton and Joe Bonamassa. 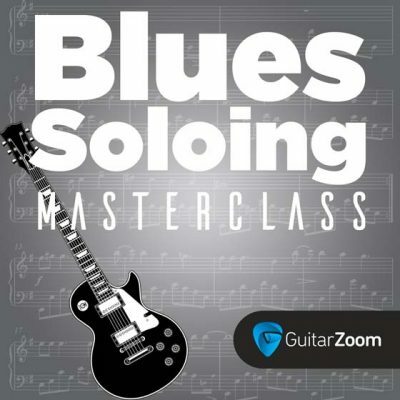 You’ll discover how to create “authentic” sounding blues solos that get everyone’s attention. And Steve breaks down secret tricks the pros use to break free of the pentatonic box, so you can play head-turning blues licks that scream and sing. A 6-week masterclass taught by Steve Stine that will unlock your soloing potential. So you can play more musical and creative guitar solos. 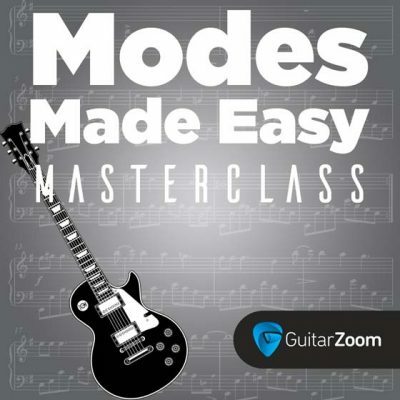 You’ll discover easy ways to master the 7 modes. Which means you’ll be able to play awesome guitar solos over any style of music. Why modes aren’t just for shredders. And pro secrets used by the likes of Eric Clapton, Randy Rhoads and Yngwie Malmsteen that amaze your friends and family. Plus you’ll get live monthly webinars with Steve so you can get answers to your most burning questions. 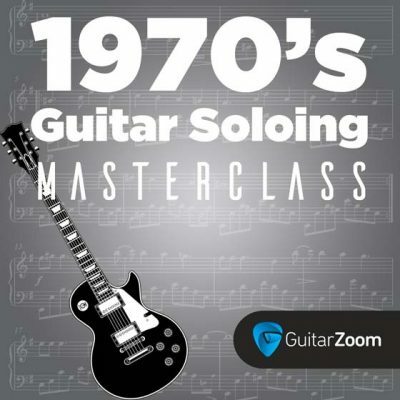 A 6-week masterclass taught by Steve Stine that reveals soloing secrets of legendary rock guitarists from the 1970’s. You'll discover how to solo like Carlos Santana, create bending licks like David Gilmour, fingerpick like Lindsey Buckingham and play monster riffs like Tony Iommi, just to name a few. You’ll alsol get inside tips on sculpting your guitar tone to get the perfect sound. Plus you’ll get live monthly webinars with Steve so you can get answers to your most burning questions. An 8-week masterclass taught by Steve Stine that breaks down soloing secrets of legendary rock guitarists from the 1980’s. 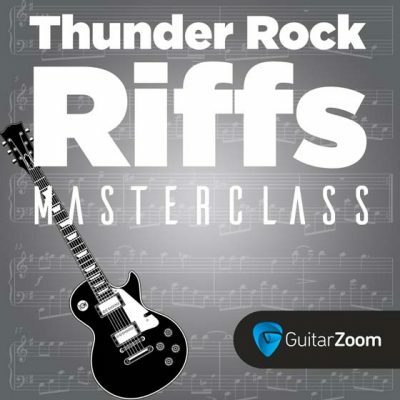 You’ll master the trademark soloing skills of Slash, Randy Rhoads, Eddie Van Halen and more. Steve will break it all down note by note, so you’ll know exactly what to play and how to apply it. Plus you’ll get live monthly webinars with Steve so you can get answers to your most burning questions. A 6-week masterclass taught by Steve Stine that make it easy to create powerful rock riffs from scratch and skyrocket your songwriting. You’ll discover the secret to making catchy melodies. How to combine different styles to take you guitar playing to the next level. Plus you’ll get live monthly webinars with Steve so you can get answers to your most burning questions.